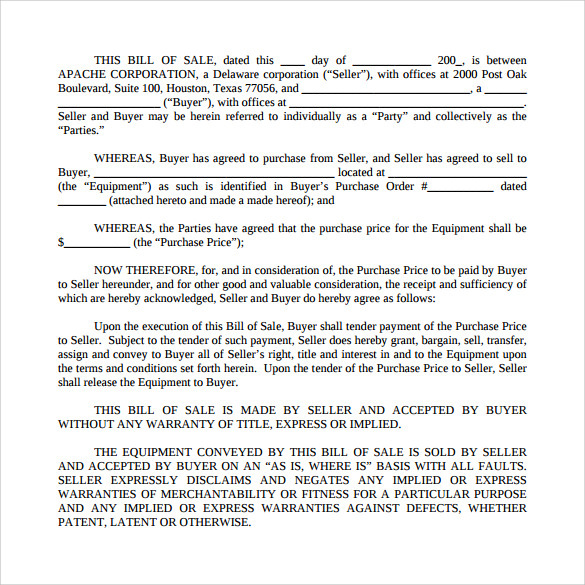 If you are a seller, there is no need to explain the use of Equipment bill of sale! You may not have seen such a mandatory and valid document ever! Sometimes, looking like a piece of paper, it can make waves in the market. There are so much of reported cases where the consumer has demanded reimbursement due to small mistakes in the bill. It’s certain sure that the bill is something which has to be handled very carefully. A small printing mistake in the bill can make you lose dollars of money each day. Even if we sell valid and quality goods, customers can claim over the bill, if it has any minute errors. 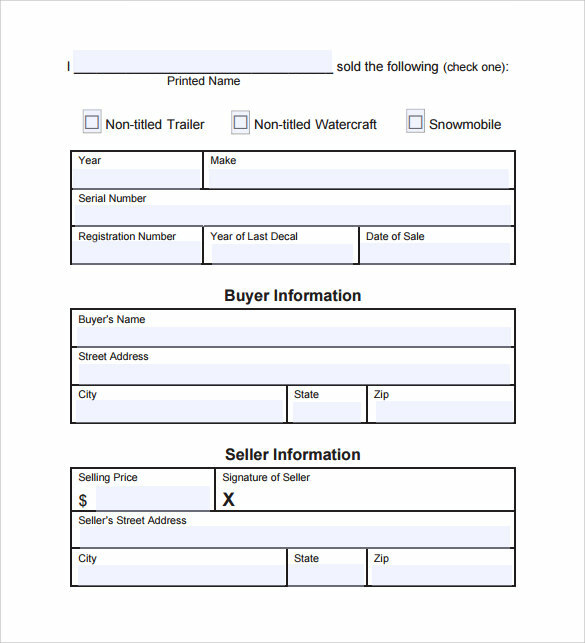 So you have to always go for an error free equipment bill of sale or vehicle bill of sale example in order to protect your business.You may check Boat Bill of Sale Templates. This template is a very clearly drafted one which contains all the mandatory details of a transaction. Including the details of the date and specifications of the good, this is one of the very perfect vehicle bill of sale template word bills. The way in which the terms are defined, and the conditions explained are very impressive way. 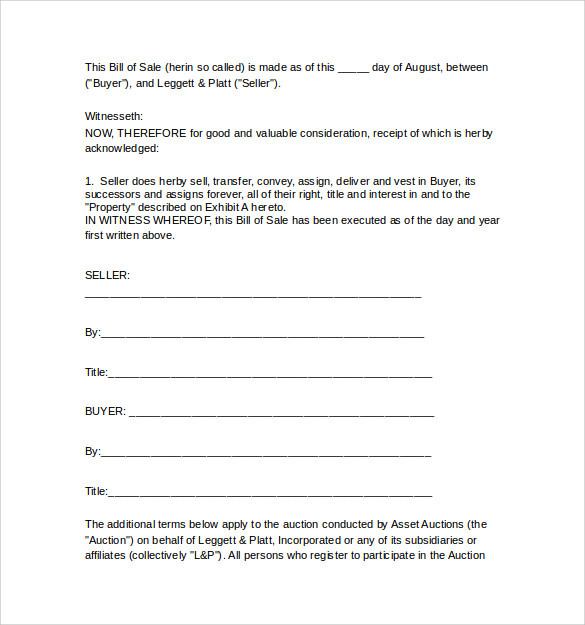 This sample of free printable bill of sale for equipment is the simplest of simple forms of the bill. But the most impressive part is that it is much organised. A very clearly organised bill, which is simplest yet, containing all details, will never be a second choice. This one contains all the basic data, but not too descriptive ones that waste the printing space. This ample can be used by the textile manufacturers or resellers easily. It contains a lot of information elated with the sales and returns of the items. The information included doesn’t make the bill look too congested, and the conditions will grab the eye of the customer at the first glance itself. Those who are in the manufacturing or machinery field can use this heavy equipment bill of sale to create a well organised beautiful template of their own. Beginning from the basic data which includes the persons involved in the process, it accommodates all the valid information related to the transaction. No one will ever complain that this bill missed a valid point. 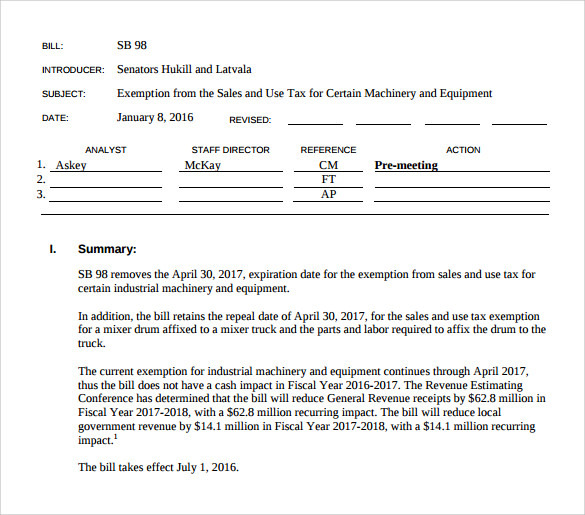 The bill serves to the proof that goods has been sold. In the point of customer, it is the proof that he spent money on a good. It is the indication that he has received something out of his money. And it is a document that might help him to get a replaced good, when required. In the seller point of view, it’s the whole proof of has business. This is the one which helps to come up with the profit-loss records and the one which can be kept as a proof for paying taxes. Bill might seem a small bit of paper. But as of a seller; it’s a power bank where his energy is obtained from. Who Are Benefited From a Bill? People across the whole globe are the users of equipment bill of sale. There will not be anyone who might have seen or used a bill. From the very small grocery store to the very well established super market chains, the transaction ends with the bill. After paying the same gives the customer, the full ownership over the good. Whether you are a buyer of a packet of chips, or when you are buying an expensive car, your role is that of a customer and you have the right to get your bill to be kept for future. As a seller, all the transactions will be valid and legal if you keep on giving valid bills.You may also visit Auto Bill of Sale Templates. It is a very practical thinking to keep the bills for future. Because it may help you to forecast your monthly expenses and a well composed, legal, valid will help you save some money by cutting down costly items. It gives you the flexibility to compare the bills from different shops and to shop from the profitable one later. It helps you to keep on track of your purchasing habits and make you realise on which part of shopping you spent more. As for a seller, you can keep it for a proof for taxes and transactions. 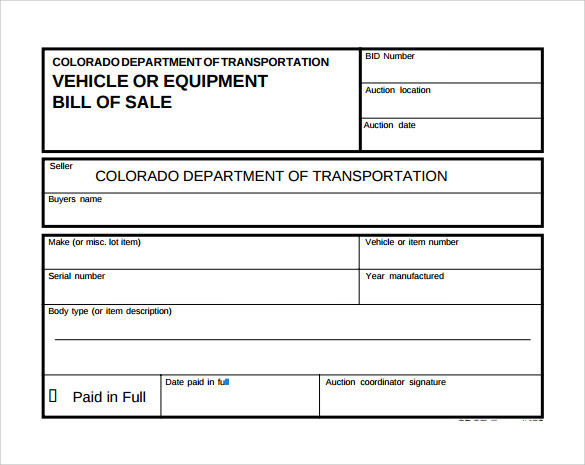 You can use a vehicle bill of sale template for documentations and can be used when there is a doubt. You can even use it during the liquidation or during the division of partnership, as the proof of the company history. 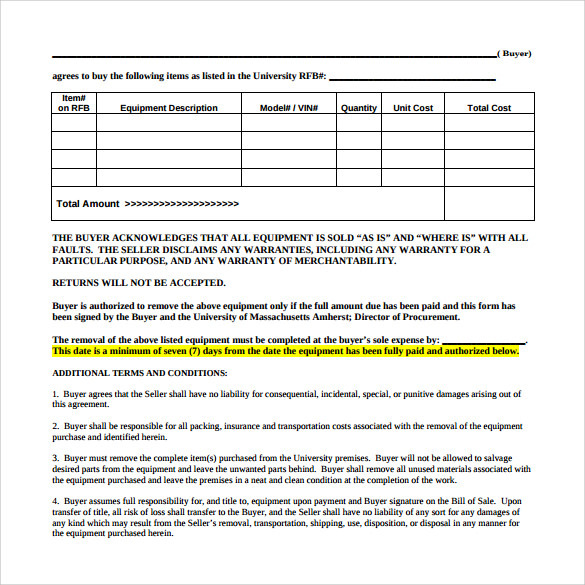 A well documented correctly composed equipment bill of sale might save your day. A neat validated bill is required for the consumer safety and the seller safety as well. A bill has to be clearly created with no pitfalls, in order to maintain a healthy business model and to save it for any legal activities.